Hershel Woodrow Williams was born on 2 October 1923 in Quiet Dell, West Virginia. He worked as a taxi and truck driver before enlisting in the Marine Corps Reserve from that state in May 1943. During the summer and fall he received recruit training at San Diego, California, and advanced training in the use of flame throwers and combat demolitions. 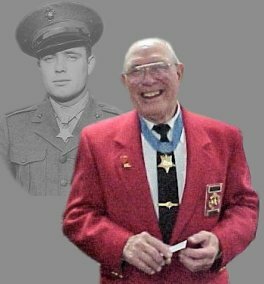 Williams served overseas on New Caledonia and Guadalcanal with the THIRD Marine Division and, as a member of the Twenty-first Marines, took part in combat action on Guam.